The jamb syllabus is made available for students to serve as a study guide to follow while preparing for the jamb examination. The syllabus contains all the topics expected for candidates to cover be writing the examination. (a) Change of subject of formula. (b) Factor and remainder theorems. (c ) Factorization of polynomials of degree not exceeding 3. (d) Multiplication and division of polynomials. (e) Roots of polynomials not exceeding degree 3. (f) Simultaneous equations including one linear one quadratic. (g) Graphs of polynomials of degree not greater than 3.
i. find the subject of the formula of a given equation. ii. apply factor and remainder theorem to factorize a given expression. iii. multiply and divide polynomials of degree not more than 3.
iv. factorize by regrouping difference of two squares, perfect squares and cubic expressions, etc. v. solve simultaneous equations  one linear, one quadrant. vi. interpret graphs of polynomials including applications to maximum and minimum values. i. solve problems on linear and quadratic inequalities. ii. interprete graphs of inequalities. (a) Analytical and graphical solutions of linear inequalities. (b) Quadratic inequalities with integral roots only. i. perform basic operations (x,+,-,÷) on matrices. iii. compute inverses of 2 x 2 matrices. (a) Algebra of matrices not exceeding 3 x 3. (b) Determinants of matrices not exceeding 3 x 3. (c ) Inverses of 2 x 2 matrices [excluding quadratic and higher degree equations]. i. determine th nth term of a progression. ii. compute the sum of A. P. and G.P. iii. sum to infinity of a given G.P. (a) nth term of a progression. (b) Sum of A. P. and G. P.
i. solve problems involving direct, inverse, joint and partial variations. ii. Solve problems on percentage increase and decrease in variation. (e) Percentage increase and decrease. i. solve problems involving closure, commutativity, associativity and distributivity. ii. solve problems involving identity and inverse elements. (a) Properties of closure, commutativity, associativity and distributivity. (b) Identity and inverse elements (simple cases only). i. find the limit of a function. ii. differentiate explicit algebraic and simple trigonometrical functions. (a) Limit of a function. (b) Differentiation of explicit algebraic and simple trigonometrical functions sine, cosine and tangent. i. solve problems of integration involving algebraic and simple trigonometrical functions. ii. calculate area under the curve (simple cases only). (a) Integration of explicit algebraic and simple trigonometrical functions. (b) Area under the curve. (i) solve problems involving applications of rate of change, maxima and minima. i. Calculate the perimeters and areas of triangles, quadrilaterals, circles and composite figures. ii. Find the length of an arc, a chord, perimeters and areas of sectors and segments of circles. iii. Calculate total surface areas and volumes of cuboids, cylinders. Cones, pyramids, prisms, spheres and composite figures. iv. Determine the distance between two points on the earths surface. (a) Midpoint and gradient of a line segment. (b) Distance between two points. (c) Parallel and perpendicular lines. (d) Equations of straight lines. i. identify various types of lines and angles. ii. solve problems involving polygons. iii. calculate angles using circle theorems. iv. Identify construction procedures of special angles, e.g. 30º, 45º, 60º, 75º, 90º etc. (a) Properties of angles and lines. (b) Polygons: triangles, quadrilaterals and generl polygons. (c) Circles: angle properties, cyclicquadrilaterals and intersecng chords. (i) identify and interpret loci relating to parallel lines, perpendicular bisectors, angle bisectors and circles. Locus in 2 dimensions based on geometric principles relating to lines and curves. i. calculate the sine, cosine and tangent of angles between - 360º = O = 6º. ii. apply these special angles, e.g. 30º, 45º, 60º, 75º, 90º, 1050, 135º to solve simple problems in trigonometry. iii. solve problems involving angles of elevation and depression. iv. solve problems involvig bearings. v. apply trigonometric formulae to find areaof triangles. vi. solve problems involving sine and cosine graphs. (a) Trigonometrical ratios of angles. (b) Angles of elevation and depression. (d) Areas and solutions of triangle. (e) Graphs of sine and cosine. (f) Sine and cosine formulae. (a) Lengths and areas of plane geometrical figures. (b) Lengths of arcs and chords of a circles. (c) Perimeters and areas of sectors and segments of circles. (d) Surface areas and volumes of simple solids and composite figures. (e) The earth as a sphere:- longitudes and latitudes. i. perform basic operations (x,+,-,÷) on fractions and decimals. ii. express to specified number of significant figures and decimal places. iii. calculate simple interest, profit and loss percent; ratio proportion and rate. iv. solve problems involving share and VAT. (f) Profit and loss percent. (g) Ratio, proportion and rate. (h) Shares and valued added tax (VAT). i. apply the laws of indices in calculation. ii. establish the relationship between indices and logarithms in solving problems. iii. solve problems in different bases in logarithms. iv. simplify and rationalize surds. v. perform basic operations on surds. (c ) Laws of logarithm. (d) Logarithm of any positive number to a given base. (e) Change of bases in logarithm and application. (f) Relationship between indices and logarithm. i. identify types of sets, i.e empty, universal, complements, subsets, finite, infinite and disjoint sets. ii. solve problems involving cardinality of sets. iii. solve set problems using symbol. iv. use venn diagrams to solve problems involving not more than 3 sets. (c ) Venn diagrams and their applications. i. perform four basic operations (x,+,-,÷). ii. convert one base to another. (a) Operations in different number bases from 2 to 10. (b)Conversion from one base to another including fractional parts. calculate the range, mean deviation, variance and standard deviation of ungrouped and grouped data. Range, mean deviation, variance and standard deviation. i. calculate the mean, mode and median of ungrouped and grouped data (simple cases only). ii. use ogive to find the median, quartiles and percentiles. (a) Mean, mode and median of ungrouped and grouped data  (simple cases only). solve simple problems involving permutation and combination. (a) Linear and circular arrangements. (b) Arrangements involving repeated objects. (i)solve simple problems in probability (including addition and multiplication). (a) Experimental probability (tossing of coin,throwing of a dice etc). (b) Addition and multiplication of probabilities (mutual and independent cases). i. identify and interpret frequency distribution tables. ii. interpret information on histogram, bar chat and pie chart. (b) Histogram, bar chart and pie chart. 1. Adelodun A. A (2000) Distinction in Mathematics: Comprehensive Revision Text, (3rd Edition) Ado Ekiti: FNPL. 2. Anyebe, J. A. 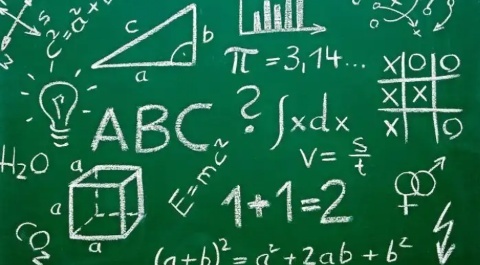 B (1998) Basic Mathematics for Senior Secondary Schools and Remedial Students in Higher/ institutions, Lagos: Kenny Moore. 3. Channon, J. B. Smith, A. M (2001) New General Mathematics for West Africa SSS 1 to 3, Lagos: Longman. 4. David Osuagwu, M. et al (2000) New School Mathematics for Senior Secondary Schools, Onitsha: Africana - FIRST Publishers. 5. Egbe. E et al (2000) Further Mathematics, Onitsha: Africana  FIRST Publishers. 6. Ibude, S. O. et al (2003) Agebra and Calculus for Schools and Colleges: LINCEL Publishers. 7. Tuttuh  Adegun M. R. et al (1997), Further Mathematics Project Books 1 to 3, Ibadan: NPS Educational. 8. Wisdomline Pass at Once JAMB.